This was a really fun design! 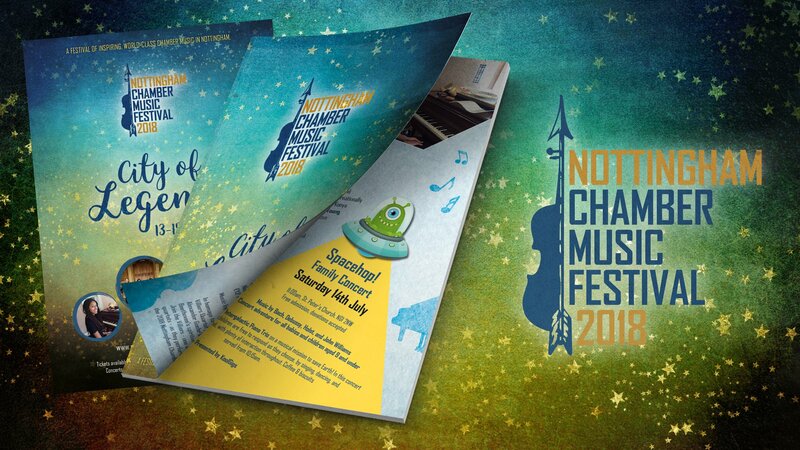 The Nottingham Chamber Music Festival was launched this year and so needed a really strong brand that would make a BIG impact. We worked very closely with the team to create a striking new brand. One that reflects the magical, intimate quality of chamber music! Once the brand was completely ready, we applied it across a stunning range of promotional materials; building a printed brand campaign that has quickly gained recognition across Nottingham. Their first year has been a roaring success – and we’ve already started work on next years designs. So watch this space.